Every once in a while something truly unique happens in your hometown or city. 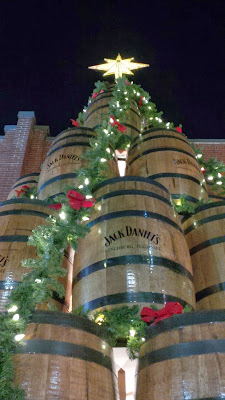 Toronto is never an exception to that rule and this year is the proud host of the Jack Daniel’s Barrel Christmas Tree. 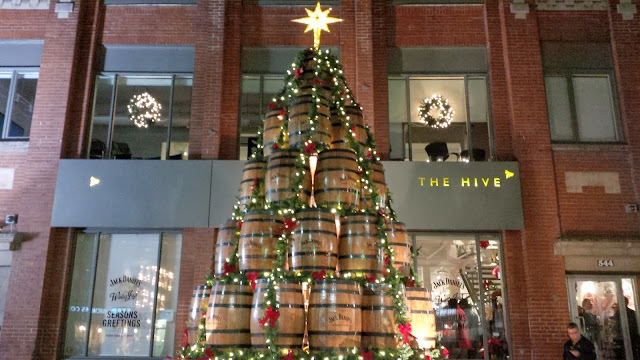 Located at 544 King Street West in front of the marketing firm The Hive (who happen to share a rich history of business with Jack Daniel’s) the barrel tree is constructed out of Jack Daniel’s barrels that are decorated with lights, garland, ribbons and stands approximately 20-30 feet proudly. Sorry to burst all the bubbles of Jack Daniels fans but the barrels are empty! Scott (@SFRealManTravels) and I (@EdRealManTravel) were lucky enough to be invited to the tree lighting ceremony on December 11th, 2013. 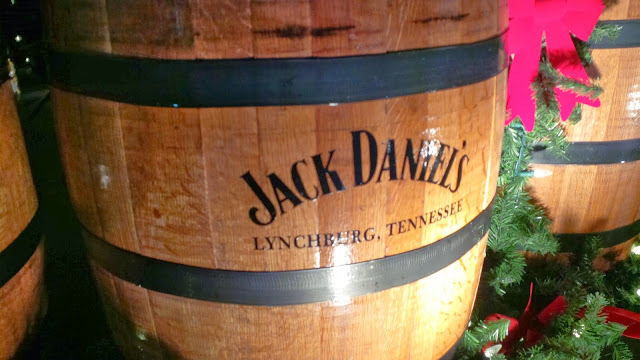 At this ceremony we were introduced to a seasonal blend from Jack Daniel’s called Winter Jack. It is a mixed blend of apple cider liqueur (which really takes over the entire taste of the drink) Jack Daniel’s Old No. 7 Tennessee Whisky and holiday spices. The drink is best served warm and was nice to have after standing in the cold. While I wasn't a fan of Winter Jack because I’m not fond of ciders, those who are will definitely find joy in this beverage during the winter season. You can find it at most LCBO’s across Ontario. Many thanks to The Hive (@The_Hive) and Jack Daniel’s (@JackDaniels_US) for inviting us out to the lighting ceremony. And if you are in Toronto be sure to get a photo of that beautiful barrel tree and share it on Twitter and Instagram with the hashtag #JDBarrelTree.